Marvel's Ant-Man, much like Guardians of the Galaxy, is a standalone movie within the expansive Marvel Cinematic Universe. A comedic respite between Avengers: Age of Ultron and Captain America: Civil War. Many fans were left nonplussed by the Ant-Man teaser released earlier this year. 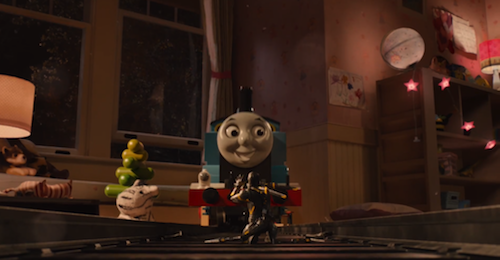 However, this latest trailer may assuage any concerns and a cameo from Thomas the Tank Engine is hilarious. Marvel's Ant-Man is released July 17th.